The SXSW Hackathon is returning for it’s fourth year, and this year there will be major expansions to the event. In years past, the event has focused on developing technology in the music industry, and this year will mark the addition of two new categories to compete in: VR/AR and Film/Video. The Hackathon will begin on Tuesday, March 14 at 1pm at TechSpace Austin (98 San Jacinto Blvd), and end with the presentation on Wednesday, March 15 at 2pm in Salon C at the Hilton Austin Downtown. Be sure to apply early. Much like in years past, this event asks participants to collaborate to solve problems, build and utilize new tools, and expand the boundaries of existing tech. The event Sponsors will be helping along the way by enabling the use of their APIs and services. This year’s sponsors include MapQuest, Verizon ThingSpace, SOCAN, Sonos, IBM, Twitter, Even Headphones, Cloudinary, Wolfram, PubNub, Synq.fm, Microdose VR, and Devpost. The Creatives in Residence will be along for the 24-hour ride to help participants work through their ideas. They include digital artist Andrew Jones (Android Jones, Microdose VR), artist and activist Kiran Gandhi (aka Madame Gandhi and M.I.A. drummer), engineer and music hacker Chris Hughes (Network of One), startup founder and drummer Elmo Lovano (Jammcard), DJ/Producer Evan Bartholomew (Bluetech, Microdose VR), musician David Block (The Human Experience), VR director and writer Josema Roig (The ARGOS File), and film producer Tara Ansley (Tragedy Girls). After the 24 hours is up, it’s time to take your work before our high-profile Hackathon Judges. This year’s judges are Techcrunch editor Josh Constine, author of the Fourth Transformation Robert Scoble, Andreessen Horowitz partner and CR7 manager Santiago Rodriguez, Gracenote and Sceneplay entrepreneur and founder Ann Greenberg, 500 Startups Canada partner David Dufresne, UCLA Center for Music Innovation director Gigi Johnson, and Dot Blockchain and Pledgemusic founder Benji Rogers. Afterwards, selected teams in each category will enter the Incubator and spend three days with Mentors to test their tech in real life situations at SXSW. Our mentors include Panos Panay (founder of Sonicbids, BerkleeICE), Dano Leman (manages Anderson.Paak, Lukas Graham), Mazy Kazerooni (digital strategist for Top 100 Hip-Hop artists, Brand Brigade), Danny Lee (mgmt.ly, will.i.am digital), Jonathan Tzou (iStaging, Data School), Justin Brezhnev (Hacker Fund), and Arpit Gupta (MIT). SXSW badge registration is not required to participate. 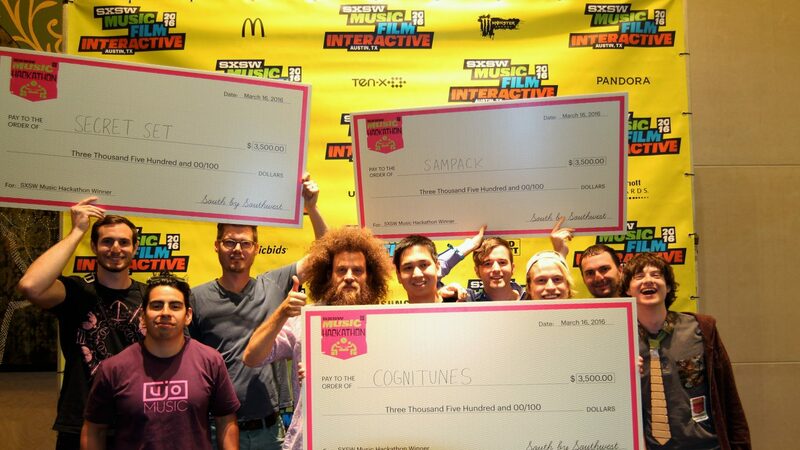 The SXSW Hackathon is produced in coordination with Travis Laurendine of CODEMKRS.